Cold seeps are unique because they have a plentiful and readily available food source (bacteria), so animals living there can grow to large sizes rapidly and reproduce quickly, unlike in the rest of the deep sea which is very food limited. 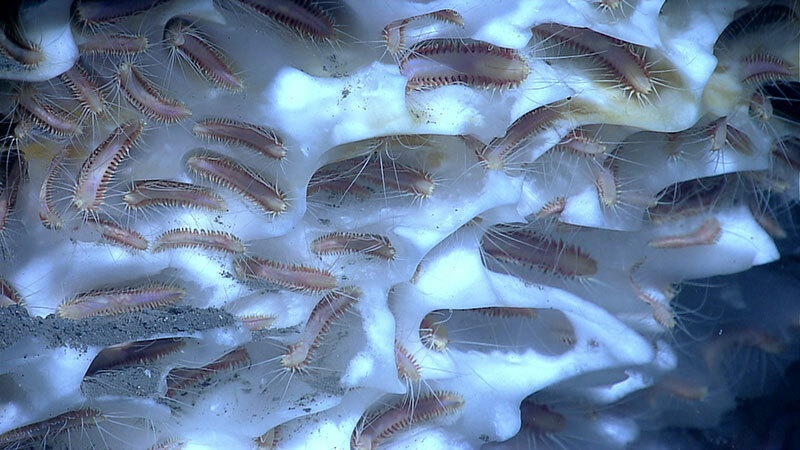 As a result, cold seeps are oases of life in the deep sea: patchy areas of huge abundance and biomass of unique endemic animals. 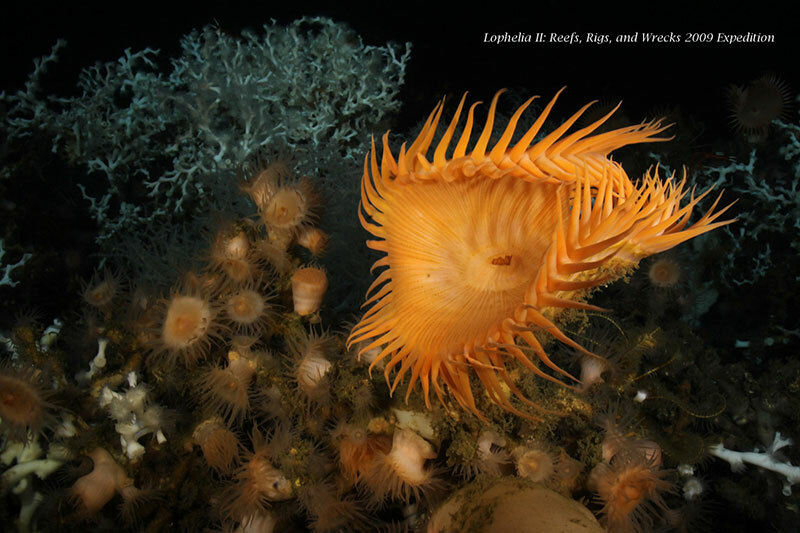 Throughout this expedition, you can expect to see many colorful and interesting living animals on the seafloor. They represent the benthos. Benthos refers to all the organisms which live on, in, or near the sea bottom. Among the most fascinating and important within this group are the deep-sea corals in the Phylum Cnidaria. Corals, sea anemones, sea fans and sea whips are all cnidarians in the Class Anthozoa, which means ‘flower-animal’ in Greek. One means of protecting the future is by understanding the past. 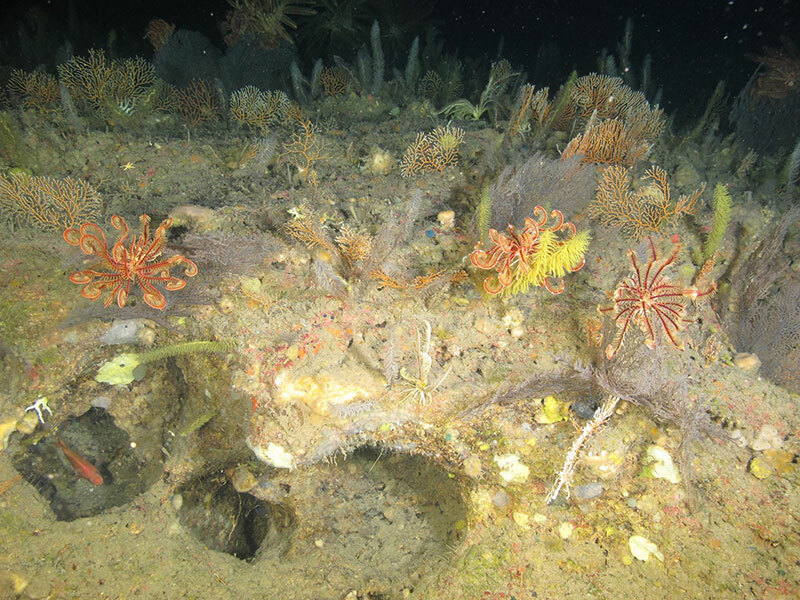 Clues to understanding the rich maritime heritage of the Gulf lie entombed in thousands of shipwrecks resting on the ocean floor throughout the Gulf. 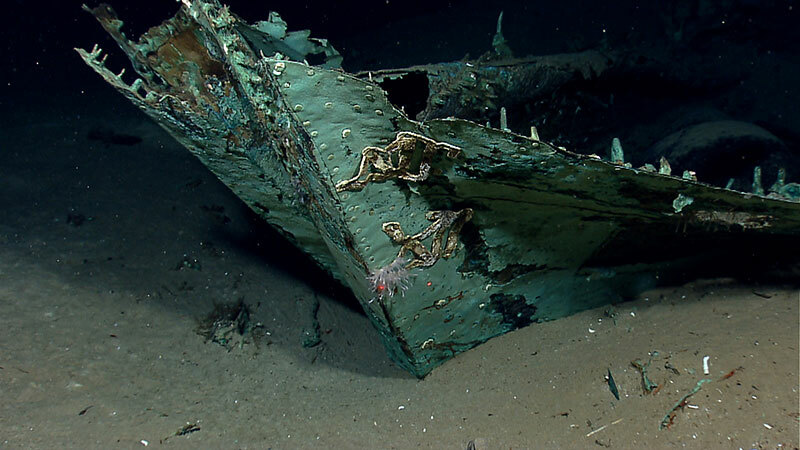 Shipwrecks are like time capsules preserving a single moment in time. From them, we can learn what life was like for people making their living from the sea hundreds of years ago. 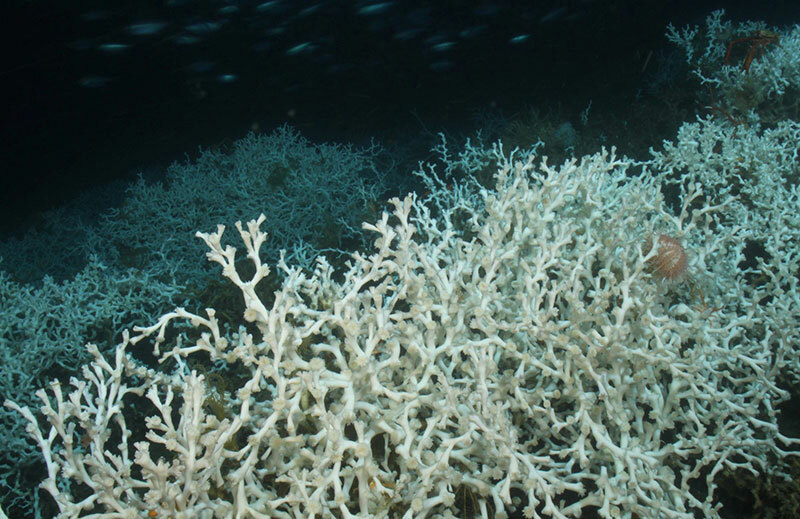 Protecting productive yet vulnerable deep-sea resources like coral and sponge habitats in U.S. waters is an ongoing process. 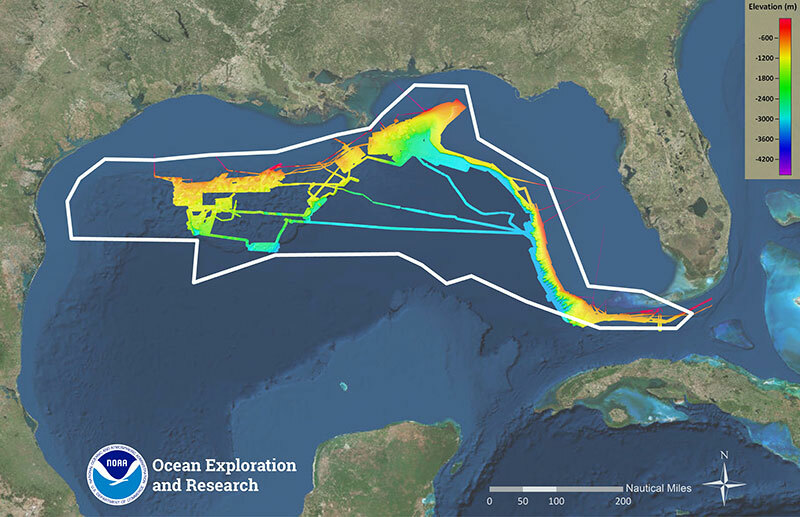 Deep-sea coral conservation efforts, in particular, go back more than 30 years in the Gulf of Mexico. Protection of these resources here and in other regions of the U.S. stems from the Magnuson-Stevens Fishery Conservation and Management Act and the National Marine Sanctuaries Act. 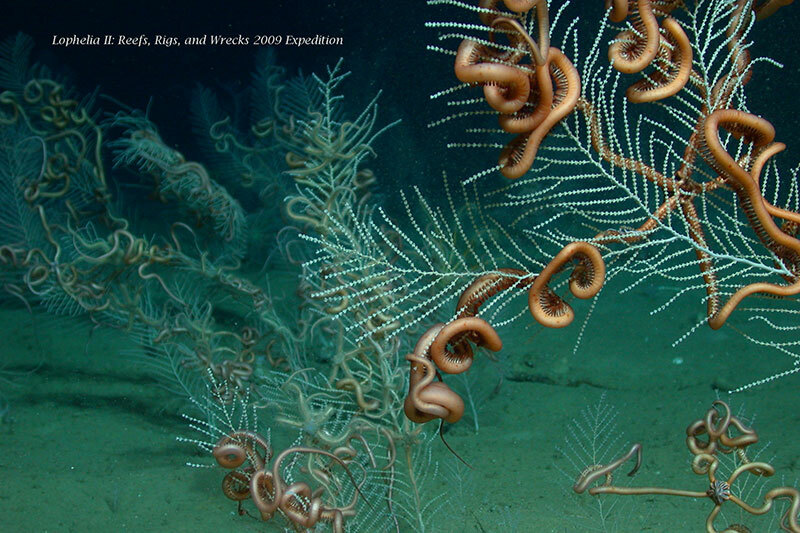 In 2007, the Magnuson-Stevens Act authorized NOAA to create the Deep Sea Coral Research and Technology Program to coordinate information gathering and analysis in support of resource management. Read on to learn more about how these components enable deep-sea research and subsequent resource conservation.